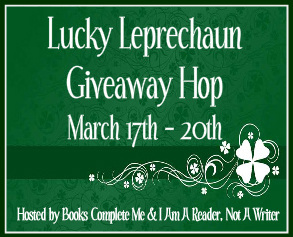 Thank you to Books Complete Me and I Am A Reader, Not a Writer for hosting this great blog hop! The world needed a hero, but how would an editor with no off-switch answer the call? For Jeff Deck, the writing was literally on the wall: “NO TRESSPASSING.” In that moment, his greater purpose became clear. Dark hordes of typos had descended upon civilization… and only he could wield the marker to defeat them. Recruiting his friend Benjamin and other valiant companions, he created the Typo Eradication Advancement League (TEAL). Armed with markers, chalk, and correction fluid, they circumnavigated America, righting the glaring errors displayed in grocery stores, museums, malls, restaurants, mini-golf courses, beaches, and even a national park. Jeff and Benjamin championed the cause of clear communication, blogging about their adventures transforming horor into horror, it’s into its, and coconunut into coconut. But at the Grand Canyon, they took one correction too far: fixing the bad grammar in a fake Native American watchtower. The government charged them with defacing federal property and summoned them to court—with a typo-ridden complaint that claimed that they had violated “criminal statues.” Now the press turned these paragons of punctuation into “grammar vigilantes,” airing errors about their errant errand.. The radiant dream of TEAL would not fade, though. Beneath all those misspelled words and mislaid apostrophes, Jeff and Benjamin unearthed deeper dilemmas about education, race, history, and how we communicate. Ultimately their typo-hunting journey tells a larger story not just of proper punctuation but of the power of language and literacy—and the importance of always taking a second look. My biggest pet peeve is when people confuse affect with effect, and their with there. My biggest grammar pet peeve is their, they're, there! My biggest grammar pet peeve is using non-English phrases/sayings and not pronouncing the words correctly. Mine is when people add an "s" to the end of toward, backward, forward, etc. Once you've done that, it's not a word anymore. Another is using the word persons. The plural of person is people! I have quite a few but the biggest are: there, their, they're and to, too, two and you're and your. Makes me want to stab myself in the eye. My biggest are there, their, & they're. Drives me crazy. "Your" welcome drives me bonkers. I've seen this so much. I don't know why people can't distinguish between a contraction and a possessive. What a great prize - it reminds me of Aunt Josephine in The Wide Window. I have a problem with people using tenses incorrectly. Since moving to NE Ohio I find everyone says, "I seen him yesterday." People "seen" so many things and it is akin to fingers on a blackboard for me! With FB so popular, there are sooo many grammar problems! And no one bothers to correct their posts?! A Lot is two words not one. There, their and they're are three separate words with different meanings. I could go on and on . . .
My biggest grammar pet peeve is when people don't make sense and they spell words wrong. It drives me nuts!! I have to go with the phrases "I says..." and "I seen"
I hate it when people say "each and every." You're and your is my biggest peeve. Run on sentences...that's a big pet peeve. Can't stand: Her and I, conversate rather than converse, to and too, & misuse of possessive pronouns! Don't get me started on incorrect tenses! My biggest pet peeve is the usage of your and you're. Drives me crazy! My biggest pet peeve is mispelled words. It makes me crazy. Mine is people who constantly say you know in every sentence. My dad read this book and thought I'd like it. But he had to give it away to someone else. My BIGGEST pet peeve is when people say "I seen him yesterday..." That bugs the crap out of me. It's "I saw him" or "I've seen him." There is no in between! My biggest grammar pet peeve is definitely double negatives!! Argh!! For some reason, mistakes with its and it's drive me crazy. I absolutely despise getting invitations that say "Your Invited!" Ugh! I hate commas, I myself do not know the correct way to use all commas. When I am reading, it really confuses me if the commas are there or not there. I can't stand the To, two, too....omg!!!! One of my biggest pet peeves is something that my brother-in-law does frequently. When he is talking or writing about something he will use double verbs. An example of this would be "The problem was is that...." I can not handle when he does that. It does not even make any sense. lack of punctuation, specifically online. I can not read something without any periods, commas, etc! Mu biggest pet peeve is when people say "try and" instead of "try to"..but I could really list a hundred! I would love to win this book - I'm an editor, and I have a feeling I would really resonate with this book. My pet peeves - I agree with Melissa's Meanderings - "try and" is a big one for me. Also confusing "nauseous" and "nauseated." And it's supposed to be "she riffled through the pages," not "she rifled through the pages." I hate when people use lie and lay in the wrong context. You lay things down and you lie down. My biggest pet peeve is when people use the words I and me incorrectly. My biggest grammar pet peeve is when people use "was" instead of "were" as in "We was goin' to the mall." It drives me crazy! reader...and I seem to catch all grammar errors. I would like to be an grammatical editor. People who, for some reason, add apostrophes into every word with an s at the end. I'm not exactly perfect or strict when it comes to grammar, but come on, we learned what was wrong with that in the 3rd grade. I guess I have two pet peeves. One is the misuse of commas, both putting them where they are not needed and leaving them out. My second is the phrase "you people" This is just crazy. I absolutely hate it when people confuse the homonyms. There, their, they're are three totally different things. It makes me cringe when I read principle and princiPAL used incorrectly. I don't know what elementary school they went to, but it must have been a waste of time. I'm easily annoyed by spelling goofs. anyways, thanks so much for the giveaway! i hate when people say ain't! And my favorite: "Supposibly" for supposedly. IT'S NOT EVEN A WORD! My biggest is probably the "tenses", e.g. did vs. done. I really hate run on sentences... there are these things called periods... use them. I really hate when people use the wrong "too, to, two"
I hate when people confuse "your" and "you're" - it drives me nuts!!!! I hate when people use an apostrophe when the word is plural not possessive. Ooh - awesome, please enter me! My biggest grammar annoyance is when people say: "It peaked my interest" instead of, "it piqued my interest." Sigh. I have when people write "your" when they mean to write "you're" or "it's" when it should be "its". My two biggest grammar pet peeves are "you're" vs. "your" and really ridiculous run-on sentences. Use some punctuation people! I see this all the time. I hate when people say "I seen it". YOU WHAT...YOU SAW IT? Ick. Hate. OMG. THIS IS EASY. I EDIT ESSAYS AND I ALWAYS SEE PEOPLE SAY SOMETHING LIKE, "the person that". It's not the person THAT!!! It's the person WHO!!! A PERSON IS NOT A THING FOR GOSH'S SAKE. I could go on and on about this (my friends call my the grammar Nazi ;P ) but I won't bore yo guys. Thanks for the giveaway! I admit I used to be a grammar nazi. Then I had a son that had severe learning disabilities. After seeing how hard he struggled, I couldn't do it anymore. My one pet peeve now, is the use of made up words or words that are purposely spelled wrong. I hate it when people add an extra pronoun. I hear sportscasters do it all the time, for some reason. Example: "Coach John Madden, he is afraid to fly so has his own bus." Drives me NUTS. I hate it when someone asks "where you at?" What ever happened to "where are you?" I get peeved at the Their/they're/there mixups as well as the your/you're ones, and apostrophe misuse in general. My biggest pet peeve is definitely incorrect usage of their/there/they're and your/you're, etc. It absolutely drives me crazy!! I dislike texting spellings. It drives me up the wall now that my husband has started using them in regular emails. There are certainly a lot of grammar errors. I think a big pet peeve for me is misuse of effect and affect. I hate people using u instead of you, all sorts of the chat speak things, I just hate it. I think I would enjoy this book :-) Thank you for the chance. My biggest grammar pet peeve is when people confuse their with there. Seriously? The grammar pet peeve that drives me nuts is how so many people use "your" when they mean "you're" or "you are" - It's not that difficult to learn the difference! Using an apostrophe when the word is plural NOT possessive. When people mix up using They, Their, and They're, it drives me batty! I don't have a pet peeve. I'm just trying to improve my writing and grammar skills. Your and You're bug me. I also will not to respond to anyone who uses dem/them, wuz/was, u/you, R/are, dat/that, dis/this...I think you get the point. i hate when people mess up there, their and they're and its and it's... it's not that hard!! My biggest pet peeve is the misuse of the apostrophe. It drives me crazy at work. OMG! The people at work would die laughing if I won this book since I'm known as the "Grammar Queen" because I'm a stickler for grammar. I would love to get my hands on this book! I think my biggest grammar pet peeve is the incorrect usage of tenses such as came/come, did/done, brung/brought, etc. Drives me nuts! It really bugs me when people don't know how to use their, they're and there correctly, as well as your and you're. My biggest grammar pet peeve is when people use "your" and "you're" wrong. It drives me crazy! When people comfuse there, their, and they're. ..and I just realized the girl above me has the same pet peeve. I can't STAND it when people use your/you're inappropriately....drives me NUTS. So, imagine my dismay when I (yes, "I") posted this on my Facebook Status: "You ask and I make it happen. I'm you're freakin' Fairy Godmother." Besides seeing "!!!1!" I get so irritated when I see "should of" rather than "should have," and spelling errors in typed essays. I mean, it's like, You're typing the essay, would it kill you to use spellcheck? Because I hate to break it to you but "necessarily" is not spelled "neseserily." My biggest pet peeve is comma's not being used properly. Or apostrophes. Also, when people can't spell things! Spell check, people. I can't stand when people don't spell out words fully. Like, if they say 'wat' instead of what..